The great part about living in Portland is how easily you can leave it, no seriously, you can drive 3 hours and be in Seattle, 6 hours and be in Canada, fly 5 hours and be in Mexico. It is not that I am always trying to escape Portland, but when a long weekend presents itself there are so many options! This past Memorial Day weekend my crew of three rolled to Vancouver, British Columbia for a strictly culinary epic to eat our way through as much Asian food as we could in Vancouver and Richmond. The trip was not only a culinary success but I convinced the boys to do a little nature exploration too. 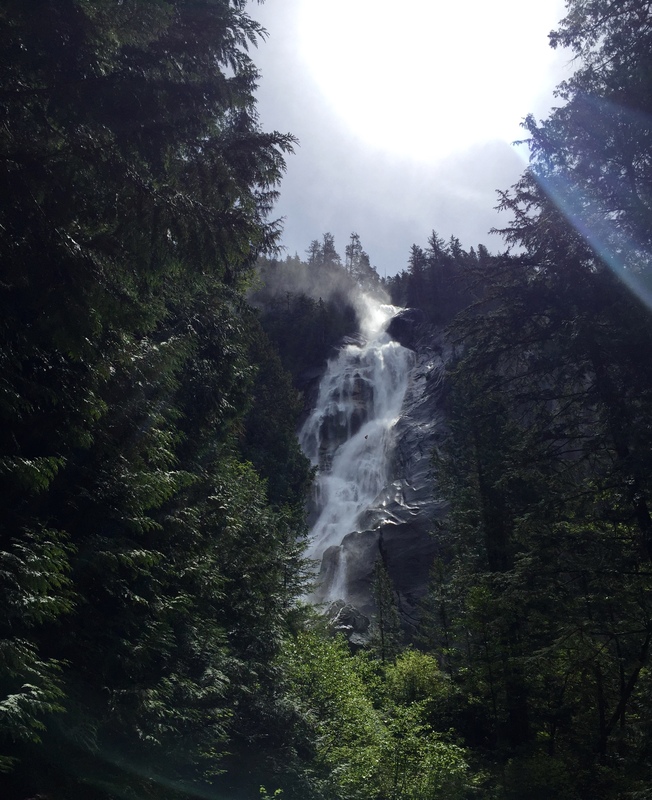 Squamish is well worth the drive and eating break. Leaving Portland around 2 we cruised to Seattle for our first dinner stop. We went to Paseo Caribbean Food, a small joint on Freemont that specializes in pulled pork sandwiches. Each sandwich comes with aioli, cilantro, romaine, jalapeños, & caramelized onions, and these caramelized onions are essentially onion crack that is sweet and smooth as butter–pretty incredible. We wrapped up our sandwiches, well we didn’t actually wrap anything up because we ate everything, but you know, cleaned our baskets and headed to one of two coffee shops. We got a round of traditional cappuccinos at Lighthouse Coffee before moving onto Caffe Vita. When I say traditional cappuccinos I mean bitter, dark roast espresso with a dollop of over-aerated foam. Coffee has come a long way into the “third wave” of latte art and Chemexes but it is important to preserve a little bit of the past. We had the typical balanced, aromatic medium roast version of the same drink at Caffee Vita, which was more to the group’s taste. Back on the road, we arrived in downtown Vancouver around 10PM and headed out for drinks and a quick bite. This was our one night staying in Vancouver proper so we figured we would go out on the town, just a bit, before a big hike in Squamish on Saturday. We went to Prohibition, a speakeasy bar in the basement of the Rosewood Hotel Georgia. The bar was a dark club that was smartly dressed in an art deco theme with emerald green couches and an Amy Winehouse inspired chanteuse. We ordered three very different cocktails with tequila, gin, and bourbon base spirits. The drinks were creative and complex. An early start took us to Timbertrain Coffee, a chic cafe with a clean, crisp modular design. 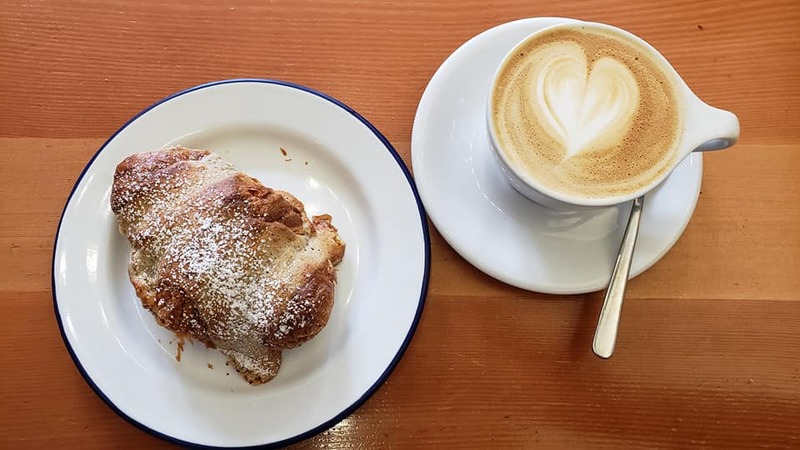 A new round of cappuccinos, croissants, and a delicious pair of savory and sweet scones left everyone fueled for the hike ahead. We headed out of Vancouver and took the scenic Sea to Sky Highway up to Squamish. The roadway was gorgeous and if you’re not up for a massive hike, the drive to Squamish is still a must. 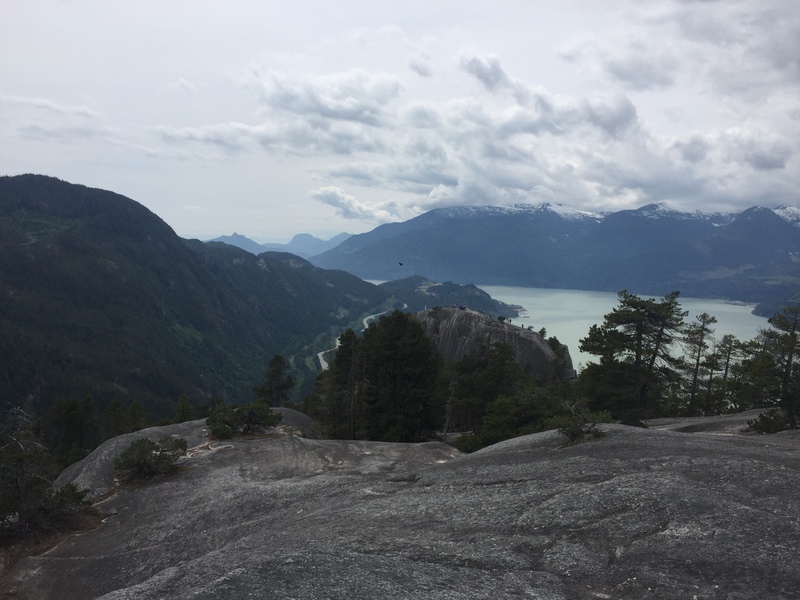 We did the most classic hike in Squamish, The Cheif, composed of three peaks. The insider trail beta had us start at Shannon Falls (a lovely sight), skirt around Peak 1 then summit Peak 2 and take the small saddle dip onto Peak 3. What views! What traffic! What leg pain! A full value hike. We chose to descend an alternate way down Peak 3 which successfully made the hike more of a loop then the dreaded out-and-back (tedious and boring). Post-hike it was feeding time. This was going to be our most serious eating venture of the trip so we felt exhausted, hungry, and very prepared. Behold, the Richmond Night Market. Yes, 100 food vendors. That is a lot of food and the kitschy, colorful carnival was the setting for some of the best bites of food I have ever had. My friend, Sam, was kind enough to take a beautiful photo of every dish we ate. “My camera eats first,” is what he always says, and it sure did. I’ll briefly note all the dishes and the highlights but this part is, essentially, a feast for the eyes. 1. Japanese Fried Chicken with Spicy Mayo-delicate, fluffy, popcorn chicken. 2. BBQ Grilled Squid-a group favorite, perfect in its simplicity and slight zesty flavoring. 3. Chef James Lamb Skewers-Kabob like in spice and super tender. 4. 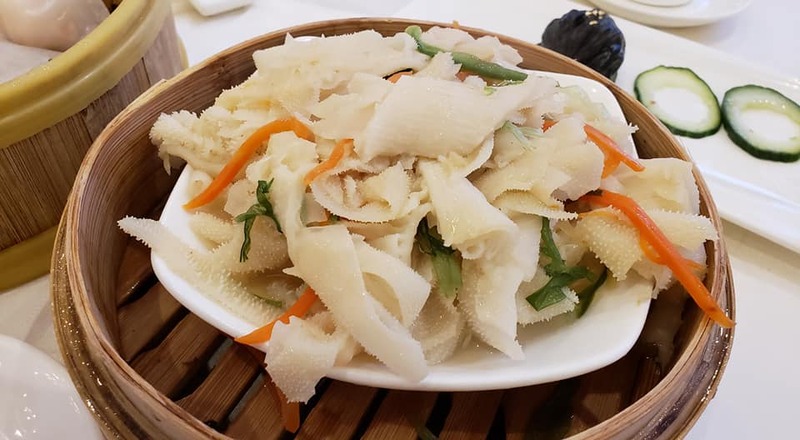 Scallop topped with Vermicelli Noodles-another light dish that was packed with an intense lime flavor followed by an extreme spicy kick. 5. Taiwanese Fried Chicken-seriously you do not even know how many types of Asian fried chicken there are. 6. Big G Fried Chicken Steak-this was a super sweet version of our central dish. The chicken was pounded flat and had a panko and dry spice rub dusting. 7. Korean Pork Belly with Kimichi-sweet chili sauce topped the unctuous meat and the tangy kimchi was a perfect side. 8. Black Truffle Pork Gyoza-my favorite dish and maybe one of the best plates I have ever had! 9. Mochi encased Strawberry-essentially Mochi is palatable and way better when around some fresh fruit. Not pictured items included an underwhelming Vietnamese Crepe that was essentially bean sprouts and wonderful Earl Grey Fried Ice Cream, the ice cream choice turned into an accidental gastronomy mind trick where the encased tea-infused ice cream made it almost seem like you were having a warming cup of tea that was oddly refreshing at the same time. The coolest part about the Richmond Nigh Market was the diversity in the offerings. It can be hard to separate the subtle and overt differences in Asian cuisines. Each country’s food is as distinct as its overall composition, and at the same time, Asian food can all speak together through common ingredients and techniques. Our sampling of 11 dishes served as a cultural enlightenment via our taste buds. The final full day had to start with dm sum. Sam chose Chef Tony and smartly made a reservation. (This place had a queue before it was even open.) 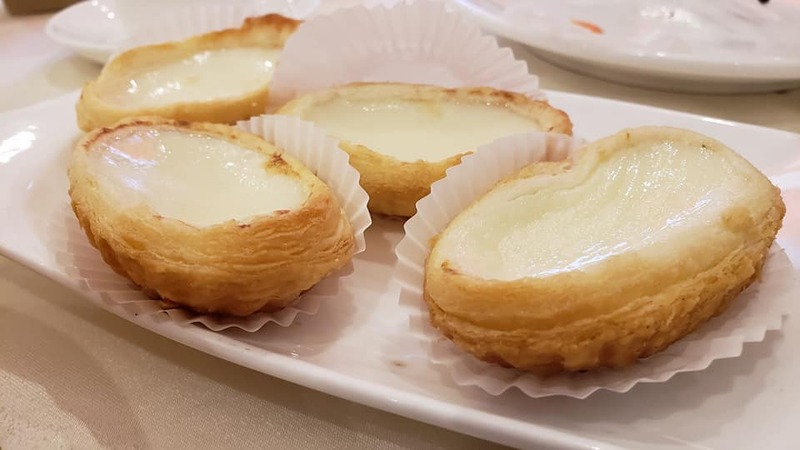 We selected pretty traditional dim sum menu items to maintain a sturdy benchmark against our, individual, favorite places for Asian breakfast. The food was supremely fresh and served unadorned with sauces so the fillings and wrappers were forced to be spot on, which they were. The main activity for the day was the Capilano Suspension Bridge and Cliffwalk. The forest park sort of felt like a nature-based Disneyland so it had that fun Jurrasic Park feel. The forest filled with impressively large trees was cool and peaceful. The crowds even seemed to nicely disperse once you began weaving your way around the park. allows you to taste the full-bodied ramen stock. The fun part is at the end when you dilute your remaining broth with water from the communal kettle and slurp the remaining liquid–nothing wasted. To digest, we strolled back to Timberline for more coffee and walked to the waterfront. Since it was unseasonably warm at decided to stop at the beach before heading out of town. In Canada, 70 degrees is full on summer, and people were out and about tanning, grilling and enjoying the sun, as we gently slipped into a food coma. Our bonus meal was a quick stop at BBQ Master, a tiny joint, essentially inside a megastore parking garage. We munch on rice and Hong Kong style BBQ chicken teetered on the edge of too rubbery for me, I wish there had been more of the sauce that nicely coated the rice at the bottom of the plate. ‘Twas the sad final morning of our food adventure. I began the day with an excellent coffee from Fresh Press Coffee Car, yet another strip mall gem that was run by a very sweet mother and daughter team. A bakery stop was necessary for picking up custard and BBQ Pork buns for the drive back. We landed on Kam Do, a popular destination for commuters with an awesome array of freshly baked buns of every kind. Saving maybe the best for last, or certainly yet another smash hit, we went to Dinesty Dumpling House. Dinesty is known for their soup dumplings–pouches of dumpling goodness that you can puncture and slurp or eat in one warming bite. We ate a lot of dumplings (and a few pickled cucumbers too). Sam indulged himself in another stop at BBQ Master in order to bring back a sampling of the goodness for friends and family. We then hit the road, stuffed, satisfied and ready to take in the scenery.